I can't really find a good word for Tøffla in English. Warm, knitted, slipper? Our house is old and cold so my aunt stopped by with a surprise gift. Tøffla for the whole family. 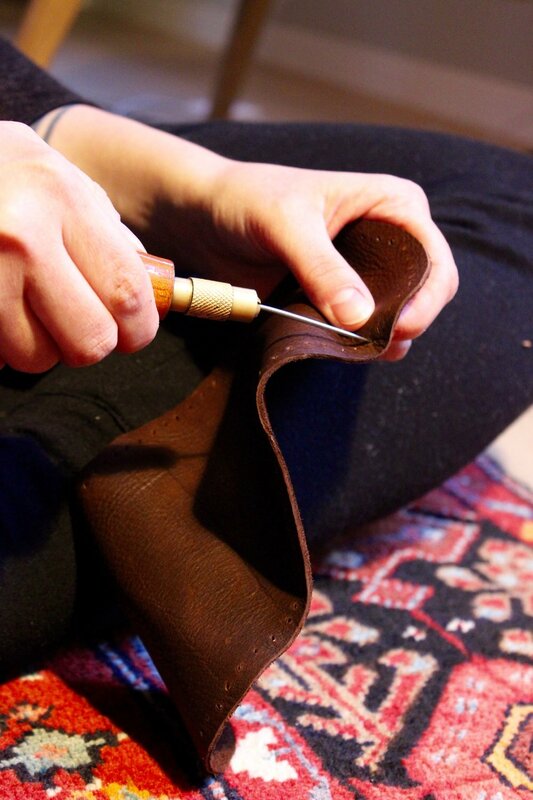 The hands of a true crafter. You make me Tøffla, I make you waffles & Coffee. 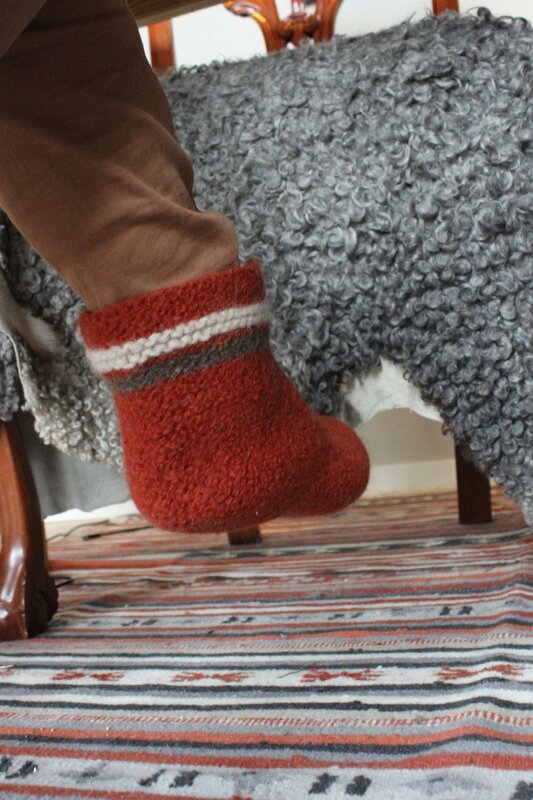 Slippery woolen slippers is a slippery slope to slipp down the slippery stairs. So I decided to make some leather soles. 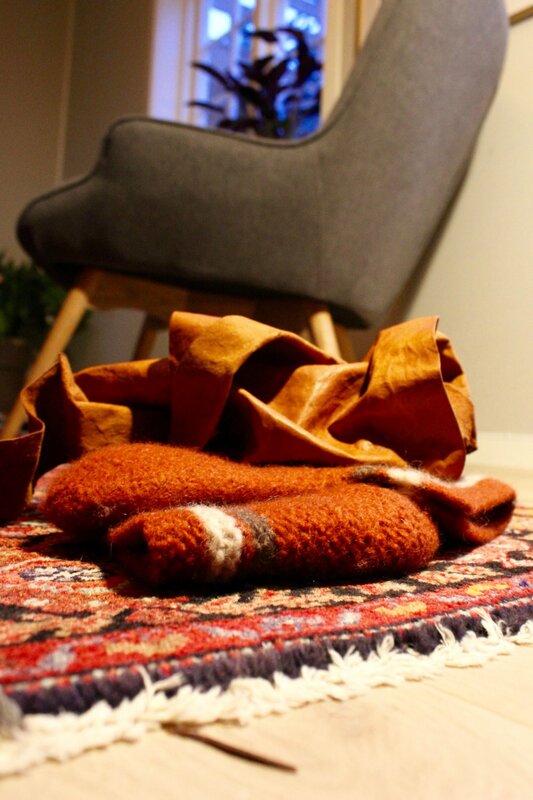 Brown leather from cow and reindeer. 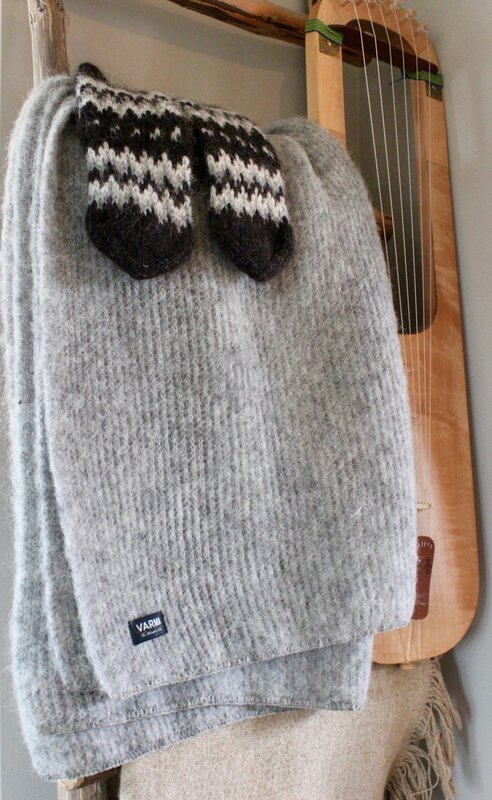 Oh and I have to show you the scarf and mittens I bought in Iceland.